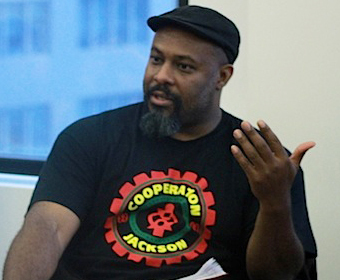 This episode of Critical Insight we were joined by Kali Akuno of the Malcolm X Grassroots Movement to discuss their 2012 report detailing the fact that every 36 hours (at least) a Black person is extra-judiciously executed by “Law Enforcement” within the United States. Please watch this episode to to hear Mr. Akuno discuss the more recent developments regarding this report, how the corporate media has tried to marginalize it, and what you can do to help make a positive impact. Your support is needed.